This week is anti-bullying week and inter-faith week. It’s probably some other week I’ve not noticed yet too, but I do know that it is definitely Prisons Week. This is because my church is heavily involved in prison ministry. It’s not a huge church, but it has teams working in our local prison as well as further afield in prisons around the country. One of my best friends was first sent to prison at the age of 12 and was handed a total of 11 years to serve before giving his life to Jesus at 19. Finny now goes into prisons with his band to play gigs to tell his story of complete transformation through God’s power and grace. He also led the worship at this year’s Holy Trinity Brompton (HTB) Prison Ministry Conference. You can read his story here. There are plenty of dire statistics when it comes to those in our prisons. For example, there are 160,000 children in England and Wales with a parent in prison. This is two and a half times the number of those in care and over six times the number of those on the Child Protection Register. 7 per cent of children will experience their father’s imprisonment before they leave school. In 2006 more children were affected by the imprisonment of a parent than by divorce. One of the reasons why Chaplains and Christian groups are so accepted in prisons is that the value of what the Christian faith can offer to those whose lives are a mess is fully appreciated. It provides hope and new beginnings for those who have got so much wrong and find themselves in a pit of darkness. There’s been plenty of talk recently about the role of the church in serving the poor and tackling poverty. This is a very important calling, but there is much more that the Church can and should be doing. Restorative justice and redemption are on the list too. Once more the Church has the tools and a message that the Government cannot provide on its own. This goes for offenders, but also the victims of their crimes. The Christian charity, Prison Fellowship are well-known and respected in prisons for their Sycamore Tree restorative justice programme run by volunteers. 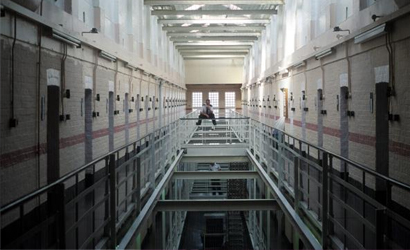 In 2011/12 over 2,000 prisoners took part in 113 Sycamore Tree programmes across 36 establishments in England and Wales. It has been proven to be an effective way to hold offenders responsible for their actions giving them an opportunity to express remorse and to give victims a voice. Studies suggest that Restorative Justice approaches can reduce post traumatic stress disorder in victims and, in some cases, motivate offenders to turn away from a life of crime. One study by Cambridge University found that the rate of re-conviction amongst those offenders participating in restorative justice, was reduced by 28%. Jesus spent a lot of time with people considered to be the dregs of his society. He talked about proclaiming freedom for the prisoners and visiting them. If anyone needs to hear the Good News of God’s redemptive grace and forgiveness, surely it’s those who in our society’s eyes have done the greatest wrongs. But if the Church doesn’t offer that message of salvation along with practical action to them, then who will? It was through a miracle of God’s love that Finny’s violent heart was radically changed, but it was because of the Christians meeting him as he left prison who gave him care and support that he was able to make a fresh start. Others don’t get that chance at such a vulnerable moment. Another inmate who Finny knew had become a Christian through an Alpha course in prison. On his release he was met by an old acquaintance who gave him a packet of heroin. Some time later he was dead from an overdose.